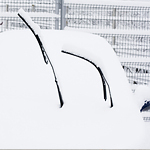 When you are looking for a good windshield wiper, there are a ton of factors to consider. There is more to it than finding a high-quality windshield and then moving on. You are going to have to make sure that you maximize the performance of the windshield wiper. When choosing a windshield wiper, one thing you want to look into is the features of the wiper which will determine how good the windshield wiper is for you during the winter time. Among the things you are going to need for your windshield wiper is a spoiler so that it can be more effective at wiping everything off of your windshield. Another thing that you should consider is the fluid. If you try to clean a windshield that has a lot of salt and slush on it, then it is not going to work. You need windshield wiper fluid in order to be effective.